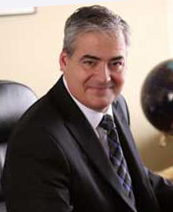 David L. Pinsel is a divorce attorney who helps good people manage their way through bad times. He understands that his clients want to spend their money on their family and not on their lawyer. He is a strong advocate for his client but does not substitute contentiousness for being competent and effective. With decades of experience and success, this approach has served his clients well for more than thirty years. David provides you with clear guidance at a difficult time. Whether you seek to initiate the divorce process, you have or anticipate being served with divorce papers or you have post judgment issues that need to be resolved, David explains the process and your strategic options in terms you can understand. As a trial lawyer, David will litigate on your behalf, however, he will also explore potentially less expensive and emotionally trying ways for you to get the results you deserve. As a Fellow in the Collaborative Law Institute of Illinois, David L. Pinsel is specially trained and experienced to help couples who desire to separate through a collaborative divorce. David Pinsel is also a court-certified mediator in Cook County. He is skilled at helping couples negotiate the terms of their own Marital Settlement Agreement and Parenting Plan by identifying the financial and child-related issues that they must confront and by assisting them in exploring options for resolution. Whether fighting hard for his client in the courtroom or helping separating couples more amicably negotiate their divorce, David L. Pinsel provides the compassion, experience and knowledge required to get the job done quickly, efficiently and at the lowest cost possible.